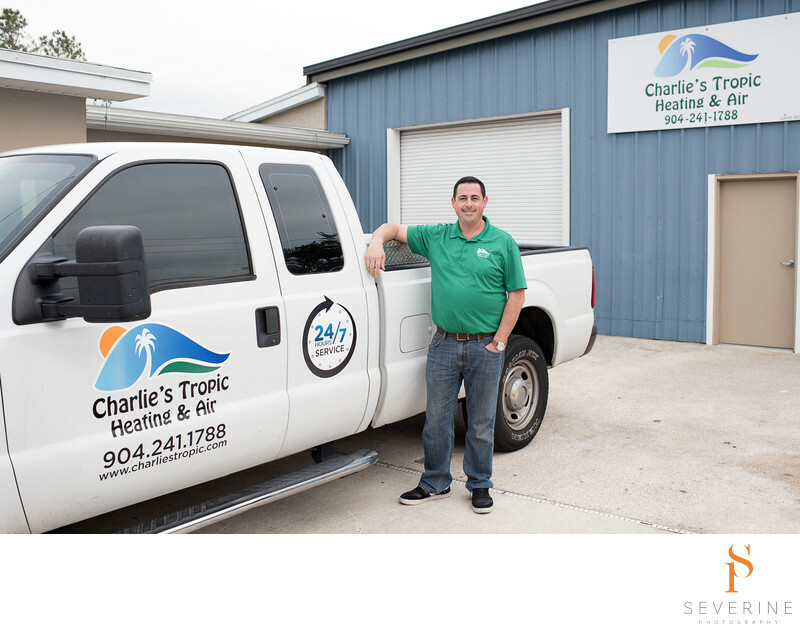 Charlie's Tropic AC company needed a commercial photographer for professional portraits for their new website and advertising. We created this professional photo on location at their warehouse. We wanted to show the truck, the warehouse, the building and the employe. Severine Photography is a professional commercial photographer based in Jacksonville, Florida. We travel on location or we work from our professional photography studio. Keywords: AC (6), Charlies tropic (3), headshots (27), Natural light (3), outside (3), professional (42), team (3), work (3).